People have become ill after eating Nanna’s frozen mixed berries, prompting a national recall of the one-kilogram bags. Also recalled are the 300gr and 500gr packets of Creative Gourmet mixed berries and the 1kg raspberries, which were packaged in the same plant as the Nanna’s berries. 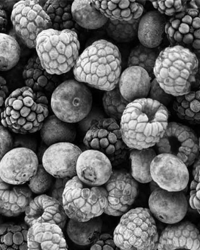 It is likely that the berries became contaminated via poor hygiene practices or contaminated water. An infectious diseases expert from the Australian National University explained that Hepatitis A is transmitted by the “faecal-oral” route. This means that people who have contaminated hands can transmit the virus. In theory, the virus could have been spread by someone working at the packaging plant who was infected with Hepatitis A and did not use proper hygiene before handling the berries. Hepatitis A can also be spread to food via contaminated water (sewerage). The actual case of the contamination and its source are currently under investigation. Will freezing the berries kill the virus? Freezing will not kill Hepatitis A. The virus will hibernate and become inactive when stored at temperatures below 0 degrees Celsius. The virus becomes active again when the product thaws. Hepatitis A is a virus that causes an inflammation of the liver. Symptoms can include fever, tiredness, loss of appetite, nausea, stomach pains, dark urine and jaundice. Uncooked foods such as salads, fruit and vegetables that you eat without peeling, and any food that has been handled by those infected with the virus. Oysters raised in contaminated waters. Hepatitis A can also be spread sexually. The virus has an incubation period of 15-50 days. Symptoms usually last several weeks. Children often have mild or no symptoms. Please note that other bacteria we associate with food-borne illnesses, like salmonella, E. coli, listeria all survive freezing temperatures as well. Will cooking kill the Hepatitis A virus? While cooking can kill the virus, the food needs to be thoroughly heated to above 85 degrees Celsius. If you heat food for 3 minutes at that temperature, this should destroy the virus. It is not recommend cooking the berries that have been recalled as a control measure. Ensure that all potentially contaminated stock is either thrown out or returned to the place of purchase. Could this happen in a Commercial Kitchen? The short answer is yes. The spread of any food-borne pathogen can occur in kitchens if food is not handled correctly or poor hygiene practices are not rectified. Ask yourself, how thorough are your establishment’s food handling procedures? For further advice or for assistance with the development of high quality Food Safety Procedures, call the DWS Safety and Compliance team for assistance on (07) 3878 9355.